Submissions by anyone other than one of the authors will not be accepted. The submitting author takes responsibility for the paper during submission and peer review. 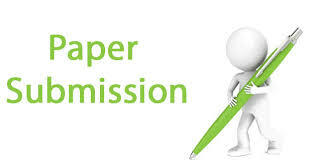 Submit your paper in the form of Mircrosoft word format ( .doc or .docx ) , if you were used latex software for article preparation then send your paper in PDF format. Submitting the paper in multiple journals are offence, Don't waste our valuable time. Strictly Follow SSRG Journals Paper Template. Papers must be submitted on the understanding that they have not been published elsewhere and are not currently under consideration by another journal published by SSRG or any other publisher. The submitting author is responsible for ensuring that the article's publication has been approved by all the other coauthors. It is also the authors' responsibility to ensure that the articles emanating from a particular institution are submitted with the approval of the necessary institution. Authors are responsible for ensuring that the information in each reference is complete and accurate. All references should be cited within the text; otherwise, these references will be automatically removed.